After the Bar Council of India re-recognized the DU’s law course, taught at its three centres, namely Campus Law Centre, Law Centre­1 and Law Centre­2, the Delhi University Law Faculty Dean Professor Ashwani Kumar Bansal wrote a letter to the Bar Council of India on September 25. 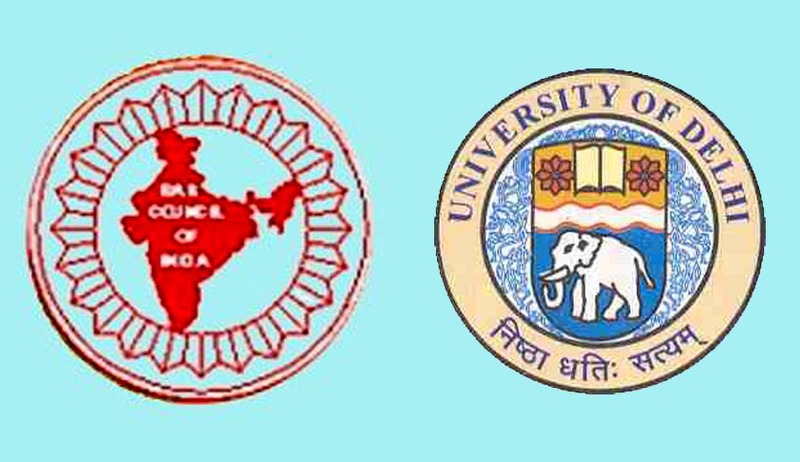 The Dean expressed shock about the drastic step that has been taken by Bar Council of India. The letter in its first line only, highlights the points that letters written by BCI in 2012 were sent to them in 2014 only. The letter also stresses upon the point that the University is a world class institution and that such a step by the Bar Council has serious consequences for students. The letter also talks about the fact that Faculty of law is an age-old institution, established in 1924with Centre I and Centre II coming up thereafter. The letter also highlights that faculty of law employs more than 150 persons as faculty. It also has more than 20 guest faculty. The raising of the attendance to a minimum 70 percent has also been highlighted in the letter. In addition, the letter mentions the strong academic culture Law Faculty has and the positions its alumni have reached. However, the dean mentions that such a letter by the Bar Council of India should have been written to the Vice Chancellor, instead of Law Centres. At the same time, the letter assures full cooperation and says that all remedial measure will be taken. The Dean also assured the Bar Council that they would come back to it for affiliation and inspection in ‘near future’.